As one of the four major sports leagues in the United States, Major League Baseball is a highly profitable enterprise. Unlike the other leagues in the US, MLB has significant investments in player development outside of the country. It invests more in the Dominican Republic than in any country outside the US, and it sees a great return on those investments. 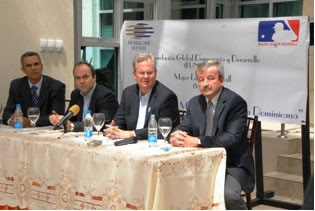 In a symposium at Fundación Global Democracia y Desarrollo (FUNGLODE) in March, MLB released an economic impact report for the Dominican Republic that estimated an annual flow of US$125 million into the country from MLB and its 30 teams. The sustainability of MLB’s investment relies more and more on the development of Dominican players away from the diamond. ENTRENA specializes in training, consulting and education projects for clients in the Dominican Republic and the rest of the Caribbean and works closely with MLB in the country. John Seibel, president of ENTRENA and consultant to MLB, works to bring the best of baseball out in the Dominican Republic through corporate social responsibility. Seibel believes that by investing in morals and values, MLB can sustain its investment. ENTRENA helps MLB foster long term financial sustainability by giving back to the community and to the fans and investing in education. Through these actions, Seibel says that people will respond even more favorably to the social impact of baseball and remark, “mira que buena es la pelota” or “look how good baseball is,” and thus build a stronger foundation for baseball to grow as an enterprise. The Los Angeles Dodgers were the first MLB team to establish an academy in the Dominican Republic in 1984. Almost 30 years later, each MLB club has an academy in the country, a massive growth project that has led to constructing new state-of-the art academies like the San Diego Padres’ facility. This investment in Dominican baseball also helps the local economy by creating jobs. Groundskeepers are needed to tend to outfield grass and pitching mounds. Doctors, athletic trainers, and nutritionists are needed to keep the players healthy and focused on peak performance. Seibel said that these jobs spotlight the need for baseball development in this country to focus on training and managing these niches as the industry expands. When it comes down to investing in development, the question is always about money and where the funds come from. 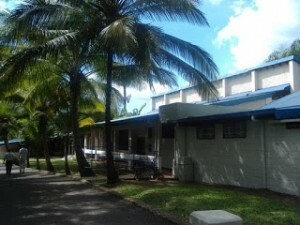 Seibel said that much of the development funding for the DR comes from international sources, such as USAID, the Inter-American Development Bank, World Bank, and European Union. MLB also directly invests in its own programs, many of which operate in the Dominican Republic. RBI–Reviving Baseball in Inner Cities–works in both the US and the Dominican Republic to increase interest in baseball and softball among at-risk children. The MLB Dominican Development Alliance is a unique program developed as a result of a public-private partnership between USAID and MLB. It was started with Dominican goals and realities in mind, rather than transplanted from the American setting and adjusted for the needs of the Dominican Republic.